Arthroscopy has revolutionised our understanding of joint disease and often provides information about joints that cannot be obtained by any other investigation. We stock a range of arthroscopes from 1.9 to 2.7mm that allows arthroscopy to be performed even in quite small joints. Arthroscopic surgery can be undertaken when indicated. 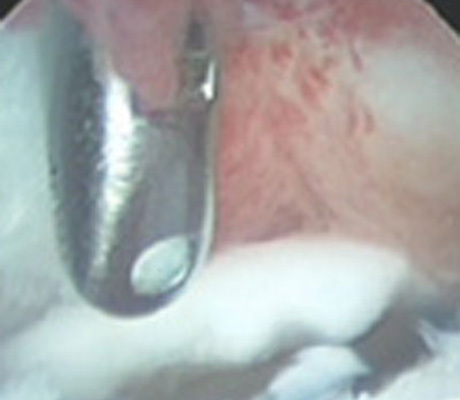 Arthroscopic removal of osteochondritis dissecans (OCD) flap from a shoulder joint. 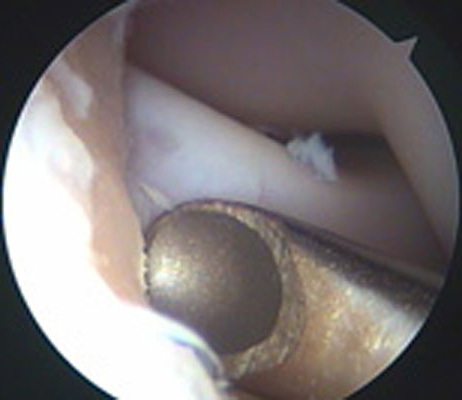 Arthroscopic removal of a fragmented medial coronoid process from an elbow joint.